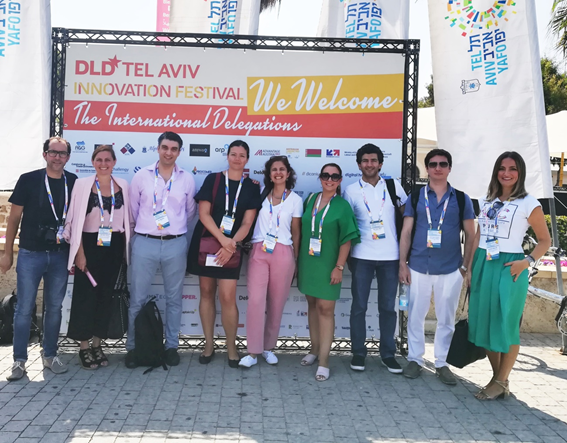 Exploration of the Entrepreneurship and Innovation Ecosystem of the State of Israel, identifying the key success factors of the Ecosystem, and the search for synergies and common elements that maximize the efficiency of the companies that belong to the RYME + program. Also, all RYME+ delegation participated in a workshop in which we discussed themes related to what is the level of innovation (the R&D of a startup), global vision, fear of failure - the DNA of the Israeli entrepreneur, which we will analyze in comparison with the local reality in the European locations of the participating companies (Murcia, Asturias, Portugal, etc.). Furthermore, B2B meetings between Israeli companies and RYME+ ones were organized by NOGAPLUS, our consultants in Israel.